Here is a quick update on the house with more pictures than anything else. With all the busyness of building, that may be the norm this week. 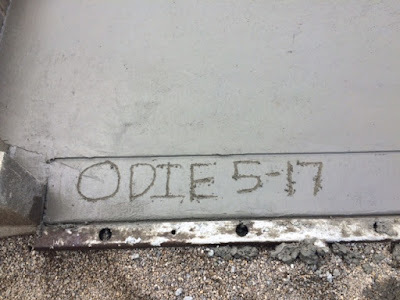 If all goes as planned, the framing on the house we are building for Odie should be well under way by the time that most of you read this Tuesday. 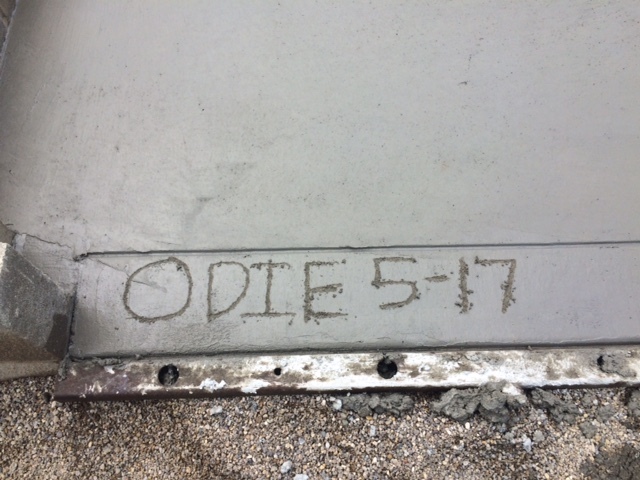 This update goes all the way back to Thursday when David Butler poured the concrete in the garage. The concrete truck pulled up and then the sky opened up. This was less than five minutes after it started raining. This was about five minutes later. Less than 30 minutes later, they were pouring concrete! As they started pouring the trusses arrived a little earlier than planned. He backed into the drive and had to wait. After the concrete truck pulled forward, the trusses were unloaded next to the driveway. A few minutes after we backed into the barn Monday morning, most of the framing package arrived from Waynesville Lumber. One bundle slid sideways but Dad, Kelly Jo and I had it transferred to the garage in about an hour. Then I backed the Green Machine in front of the garage and Dad pushed Odie up the garage ramp and "into" the house for the first time. I gave her the grand tour and then we went to drink a little salsa. 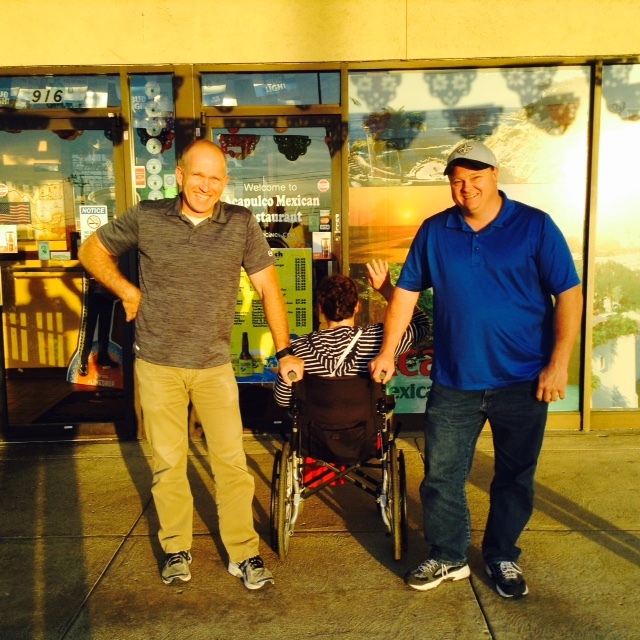 After salsa, Dad and I went to Leesburg, Ohio to pick up the windows that we ordered. I am very pleased with the windows, the service and the price. I hope they turn out to be as good of window as they seem. Dad worked so hard yesterday as he always does. There is no way I could do this project without him and the rest of my family. 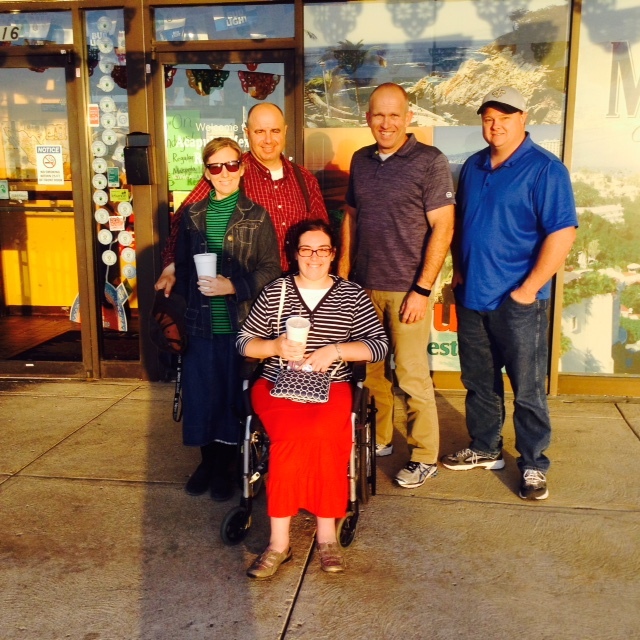 Speaking of help, the framers are beginning today by God's grace and we have help coming from other places as well. Last night Pastor Scott Morris and Bro. Sheldon Walley arrived from Richton, Mississippi. They hope to stay for a few days until the house is in the dry. It is so good to see them both! I appreciate these brothers coming so far to work so hard. We will have pictures of others that come later. The weather guessers are calling for a good weather day today but a big chance of rain on Wednesday. I am asking the Lord to move that rain out. We appreciate your prayers about the weather. I am also requesting prayer for God to help us this week. We want everything to go smooth with no hiccups and no injuries.